Amston Pro Services (APS), started by Tom Wheeler and Andrew Jambor, is a technology and professional business advisory firm, coupled with a top-tier software development house. Amston specializes in product development, research, along with providing consulting services to a range of companies including non-profits, enterprise, small business, and start ups. APS architects have extensive development experience within the cloud, big data, and UI covering front end to database design. APS combines both business and technology perspectives from the first day of engagement enabling critical strategic insight into new technology ventures. This often streamlines the commercial value to a new project, and helps to avoid expensive learning lessons and pitfalls of a single view. Amston Pro Services has been practicing agile for over 10 years. We have worked on many teams in many environments and industries. From SCRUM to KanBan, Amston Pro Services has the resources to improve your teams and produce greater value in your products. First, we capture all the project requirements, from the goals and key audiences, to the features and the brand attributes. Next, we research what key phrases potential visitors are searching for in search engines. Then we align these phrases with pages on the sitemap. All of this is done with search engine optimization, visitors and future updates in mind. Once the discovery phase is complete, the next step is to plan the look-and-feel. The Amston Pro Services creative team designs mood boards (mockups), presenting color palettes, typefaces and image styles, always with brand image in mind. This will be presented to the client allowing for feedback and further design. Note how the creative process is a series of steps that build on one another, arriving at a final design through a rational, structured approach. Using the latest technology available to suit our client needs, Amston Pro Services will develop the product in 3 phases: code, test, approve. We will provide the opportunity to the client to allow for quick feedback on our progress. We believe in the iterative approach where we provide constant updates and meetings to allow for feedback. After the first phases are complete and everything has been approved, Amston Pro Services will deploy your application. But our services don't end there. We offer maintenance contracts along with hosting options to ensure your product's quality and reliability. Thomas has been in the software industry for over 15 years and specializes in Healthcare and Financial Services. 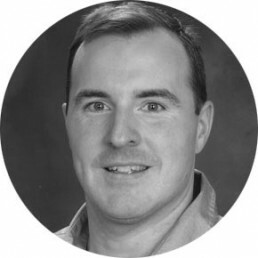 Prior to launching Amston Pro Services, Tom has worked in various healthcare companies including: Baystate Medical Center, Healthshare Technologies, WebMd, and Wex Health. In addition to being an entrepreneur and a loving father of three children, Tom also serves on the Board of Directors for Hebron Education Foundation. Since he graduated with a Masters degree from Central Connecticut State University in 2005, Andrew has always interested in building companies that could provide the best technological solutions to assist individuals and organizations. With over 10 years of experience in development, project management, and building relationships, Andrew is looking to utilize his skills and take on new and exciting challenges. 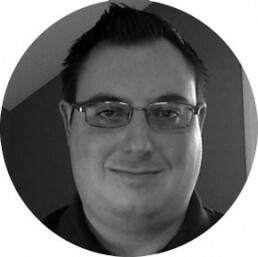 Chris has been in the software industry for over 10 years and specializes in Mobile Application Development. 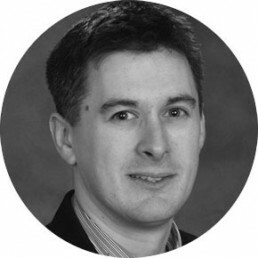 Prior to joining Amston Pro Services, Chris has worked in various companies working with Android and iOS mobile platforms for both enterprise and start up companies.